If you choose Alert1, you won't be disappointed with the services that are offered. The main concern with Alert1 comes with pricing, particularly with their pricing on spouse monitoring. I was worried about my grandparents who were getting older and facing minor health issues that were not major concerns, but I knew they could get worse and leaving them alone was becoming riskier. I wanted my grandparents to maintain their lifestyle but protect themselves from an accident at the same time. That was when I came across the Alert1 medical alert system, which was a great option for their needs. If you are looking for a way to protect yourself or a loved one from a fall or other accident, you might want to look into a medical alert system. Medical alert systems, such as Alert1, provide you with the ability to stay on your own without constant supervision, while also giving you a security net if it is needed. Medical alert systems are great for people who just need an added security blanket. If you choose Alert1, you will always have a care specialist nearby without actually having to hire someone to check in on your home or stay with you long term. However, a medical alert system is not for someone who needs constant or more in-depth care. If that is the case for you or a family member, you should seek out other options like retirement homes or in-home nursing services. As you look further into Alert1, you will want to keep a few things in mind: do you have a landline or what cell services are in your area, do you need an emergency button for an additional user, do you have health problems that would render you unconscious, and how often are you away from home by yourself? 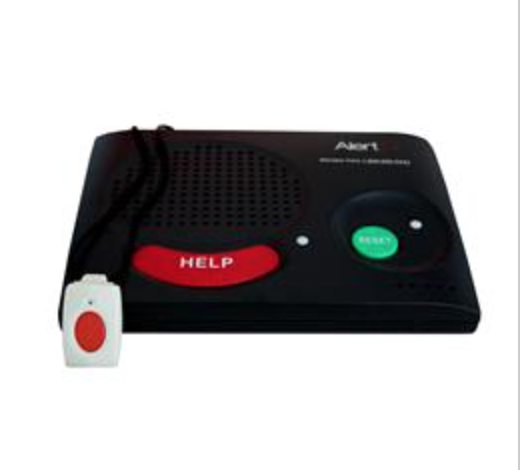 Alert1 is a medical alert system made by AlertOne Services, LLC, which has nearly thirty years of experience in the field. The company asserts that they do not use fear as a marketing tool. Instead, the company believes Alert1 will allow you maintain your lifestyle while providing you security in case of an accident. The Kelsi mobile medical alert button has a 60 day battery life, which means you rarely have to worry about charging it. Alert1 provides mobile fall detection, so you can be protected from a fall even while you are on the go. Compared to other companies that sell medical alert systems, the price to add an additional user is quite expensive. The wireless home medical alert system and the Kelsi mobile medical alert system run off of T-Mobile cellular services, while the PAX mobile fall detection button runs off of AT&T services. This could be conflicting depending on what coverage you have in your area. The Alert1 home system comes with 24/7 home protection. It includes a medical alert button and a base station that needs to be hooked up to a landline. 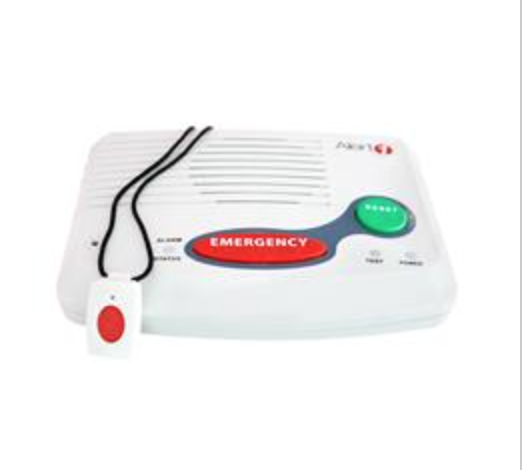 The price for the home medical alert system is $29.95 per month. 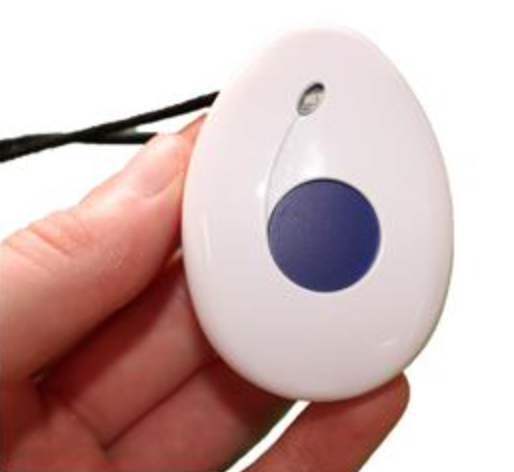 The medical alert button for the home medical alert system has a 600 ft range from the base station. The button is also showerproof (I like this feature because slips often occur in the tub), and you can get it as a necklace or a wristband. The battery life for the home medical alert button is five years. The base station has a 24 hour backup battery, which means you can stay protected even if a power outage occurs. The base station also has two-way communication. Every 28 days, the system performs an automatic test, so you can rest assured that the system is functioning properly. Otherwise, the company will notify you if your system needs to be serviced. To add a second user, you will have to pay $44.93 per month. 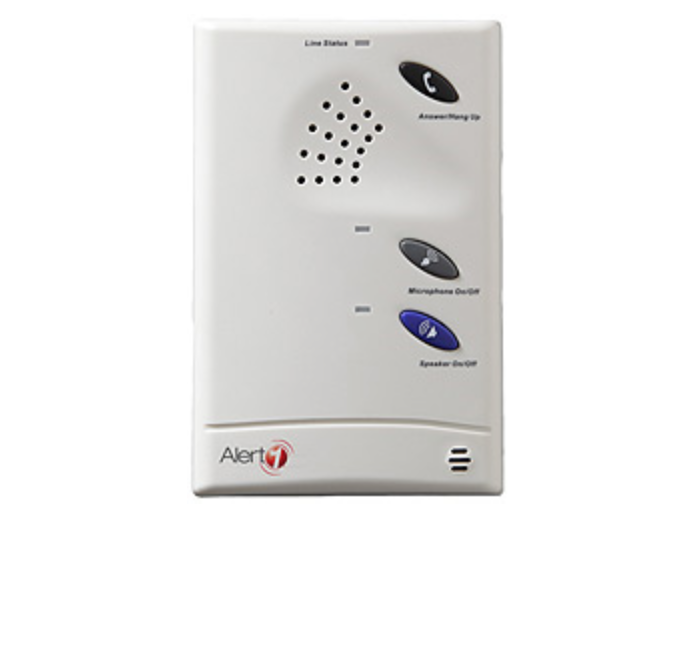 Just like the home medical alert system that hooks up to the landline, the Alert1 wireless home medical alert system provides 24/7 support. It comes with a base station and a medical alert button. The base station uses T-Mobile as a service provider, so you will want to make sure that you have coverage in your area. The price for the Alert1 wireless system is $29.95 per month. The base station only needs to be plugged into a power source to work, so setup is quick and easy. It comes with a 24 hr backup battery if the power goes out in your home, as well as two-way communication that can be heard throughout your house. The medical alert button is the same as with the home medical alert system that requires a landline jack in that it comes as either a wristband or necklace and is waterproof, and with the medical alert button, you don’t lose any range if you choose the wireless network because it can still reach up to 600 ft from the base station. If you want to add a second button, it will costs you $45.93 per month. With home fall detection, the command center will be notified you if a fall is detected. This feature is beneficial if you are rendered incapacitated or are unable to press the button for whatever reason. Of course, there is the possibility of a false alarm, but that’s a small price to pay for this added layer of security. It costs $35.95 per month to get home fall detection with your Alert1 medical alert system. The fall detection button has a 400 ft range from the base station. This button is also showerproof. The battery life for the button is two years. If you want to add a second home fall detection button, it will cost you $53.93 per month. 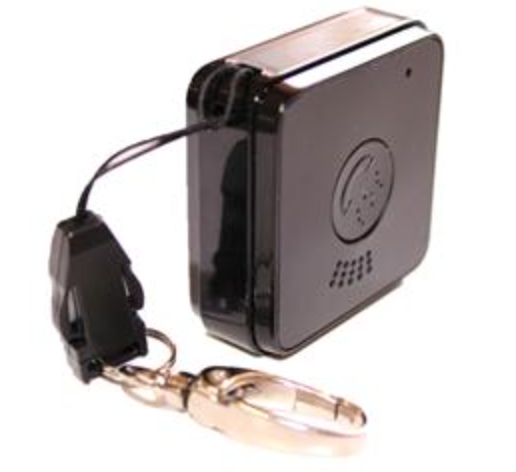 The Kelsi mobile medical alert system provides protection while you are away from your house. This means you no longer have to fear to go on walks around the neighborhood or other activities away from your house. To use the Kelsi mobile medical alert system, you need T-Mobile coverage in your area because it runs off of their cellular towers. The Kelsi emergency button comes with an attachment for your belt loop or keychain, which makes it convenient for carrying around with you (my grandfather enjoys going to the park in the afternoon, so he could just slip the unit on his belt and wouldn’t have to worry about it unless it’s needed). The Kelsi emergency button also has a 60 day battery life, so you only have to charge it about every two months. With the Kelsi mobile medical alert system, you have GPS tracking, which means the command center can determine your location if they need to during an emergency. It comes with two-way voice, so if an emergency occurs while you are on the go, you will be able to communicate with the call center and help them determine how to best assist you. The price for the Kelsi mobile medical alert system is $35.95 per month for one user and $53.93 per month for two users. The PAX mobile fall detection system from Alert1 can determine if you have fallen while away from your home and will automatically call the command center who will contact you and see if you need help. Unlike with the Kelsi mobile medical alert system, the PAX mobile fall detection system runs off of AT&T towers, so you will need to make sure you have AT&T coverage in your area. The PAX mobile fall detection button is waterproof and has two-way communication, so you can speak through the device with a care specialist. It also has a belt clip, which makes it convenient for when you are on the move. With this device, the care specialist can also track your location via a GPS system, so if you are not sure where you are or can’t respond then they will know where to send emergency units. The battery life for the PAX fall detection button is 36 hrs, so if you are out of your house all day, then it will last the entire time with no problem. 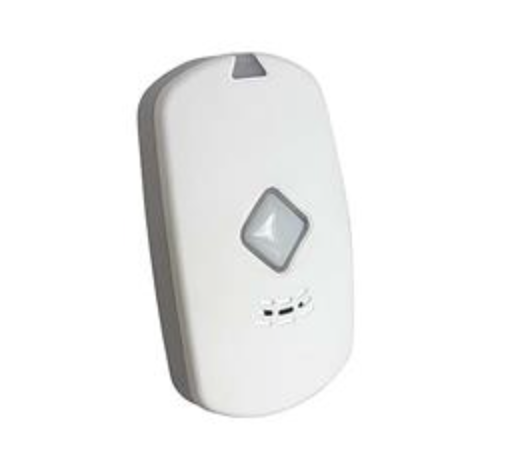 The price of the PAX mobile fall detection system is $49.95 per month for one user and $74.93 per month for two users. 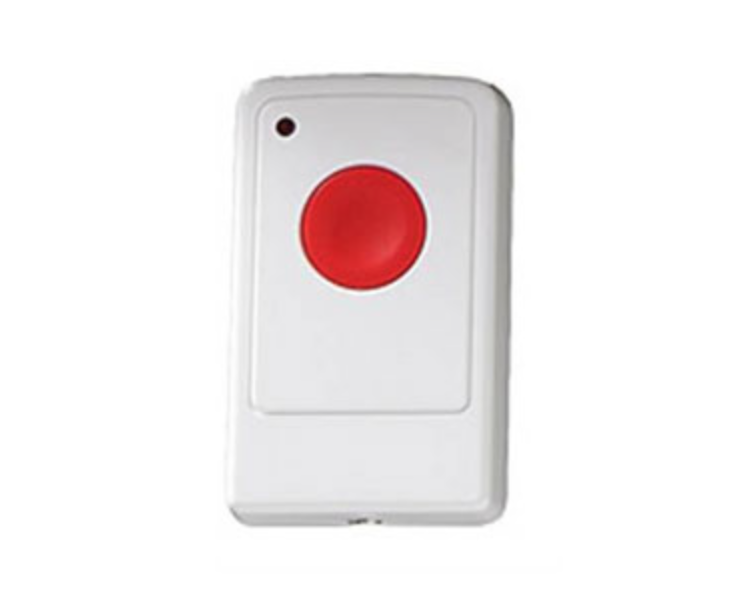 Alert1 sells additional wall buttons that can be placed throughout your home. These buttons are beneficial if you forget your emergency button on your nightstand or table counter when you make a trip to the bathroom. I liked this added security because I did not know if my grandparents would always have their emergency button on them. For larger homes, you can purchase a voice extender that can be mounted on the wall. This allows you to communicate with the command center if you are not in range of the base unit, so you will want to determine where in your home you might need more coverage. Also note, the voice extender musts be connected to a power outlet and a phone line in order for it to work. Within 30 days, you can receive a 100% refund if you are not satisfied with the product. All you have to do is return the equipment. I have searched around the web for reviews on Alert1 from customers who were willing to share their experience using this medical alert system. Below, you can find some of what I found. They provide free in-home monitoring for your spouse, where Alert1 costs significantly more money. The Bay Alarm base station has a 32 hr backup battery. The Alert1 base station only has a 24 hr backup battery. This is worth considering if you have frequent power outages in your area. The emergency button for Bay Alarm has a 1,000 ft range, which is 400 ft longer than Alert1. With Bay Alarm, you can answer the phone using your emergency button and the speaker on the base station. With LifeStation, you are not limited to one cellular service provider. Instead, they run off of the closest cell towers in your area. Alert1 uses T-Mobile as a provider and AT&T for their PAX mobile emergency button. The LifeStation base station has a 32 hr backup battery, where the Alert1 base station only has a 24 hr backup battery. LifeStation performs a weekly test on your medical alert system to ensure it is working properly. Alert1 only tests their system every 28 days. With LifeFone, you can get a range extender that reaches up to 1,500 ft. Alert1 only has a 600 ft range. LifeFone offers free in-home monitoring for your spouse, but with Alert1, you have to pay quite a bit more to add an additional user. The LifeFone base station has a 32 hr backup battery for when the power goes out, but the Alert1 base station only has a 24 hr backup battery.